This Lady Black Widow Halloween Doll Spokesmodel helps talk-up the Holiday offerings. Or at least I assume so since the mannequin has an articulated jaw. She spoke not a word to me, but then I never was known for my pickup lines. So we mainly just looked each other over. 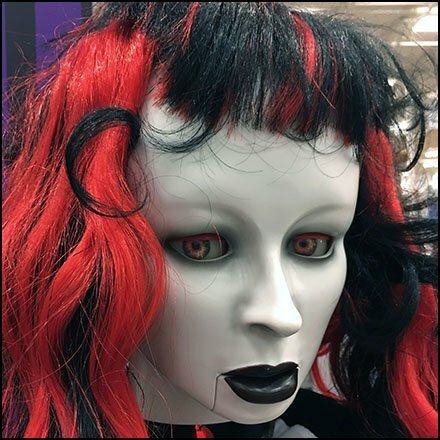 Meet this Lady Black Widow Halloween Doll Spokesmodel in the gallery of images. Seen at Lowes, Hazleton PA. She’s waiting for you there.